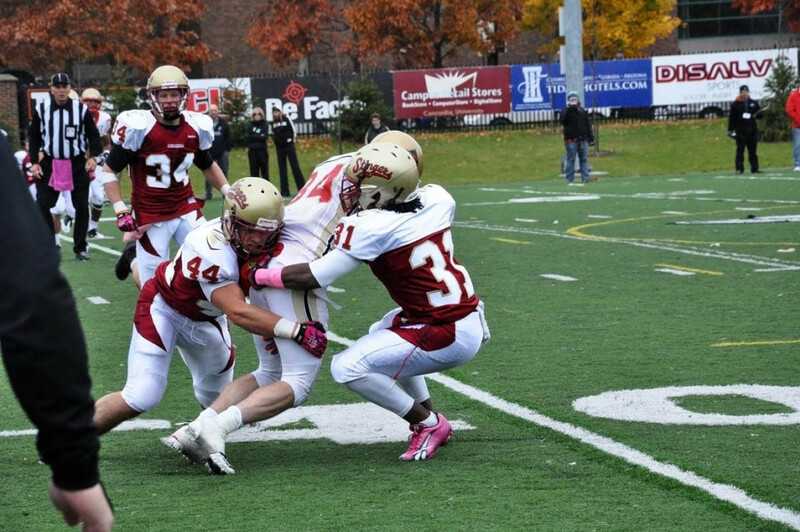 The young Concordia Stingers faced more growing pains against the powerhouse Laval Rouge et Or, as their playoff hopes were obliterated in a 62-7 loss during university football action on Saturday at Concordia Stadium. The heavily-favoured Rouge et Or came out of the gate quickly, as quarterback Bruno Prud’Homme marched the visitors for two long touchdown drives in the opening quarter. Laval added a safety to go up 16-0 before the break. However, the Stingers briefly showed signs of being able to stand-up to the bullies of Quebec, as they converted an interception into a short drive culminating in Dan Rodrigues’ two-yard touchdown run. Concordia received another golden opportunity as a result of a Rouge et Or turnover in their own end. 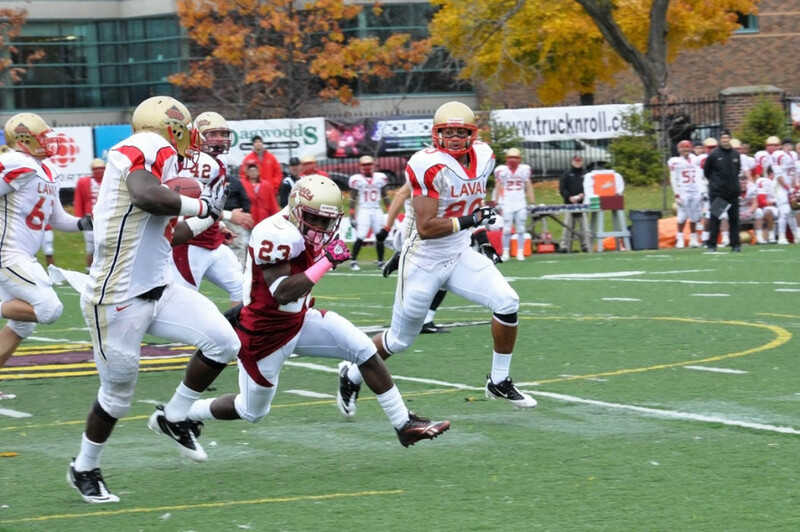 Although Laval had stretched its lead to 26-7 with a field goal and touchdown pass to J.S. Haidara, Concordia recovered a fumble on Laval’s 33-yard line with a chance to cut into the lead before the half. However, sophomore quarterback Terrance Morsink threw over the head of freshman Kris Bastien at the goal-line, resulting in a long interception return for the Rouge et Or. The momentum from the second quarter didn’t carry over into the second half, as the Rouge et Or quickly stomped out any hope of an improbable comeback. The visitors did just that, as Laval’s two-headed running back tandem of Pascal Lochard and Guillaume G. Bourassa punished the Stingers’ front seven and controlled the clock. The tandem’s efforts led to three third-quarter field goals and a short punch-in from a yard out for Lochard to give Laval a 46-7 edge heading into the final quarter. Lochard and Bourassa finished with an astounding 308 rushing yards combined. Despite the disappointing finish to the season, there is hope for the future for the inexperienced Stingers. Even without their starting quarterback for much of the season, the Stingers finished 4-5 and just a game out of the playoffs. Morsink added that the future “is definitely bright” for the Stingers, and that the experience gained this season should translate into more success next year. “We’ve had a lot of great play from great young players,” added McGrath, before pointing out that many teams without their starting quarterback struggled much more than the Stingers. With as optimistic an outlook as a non-playoff team can have, the Stingers look forward to next year. 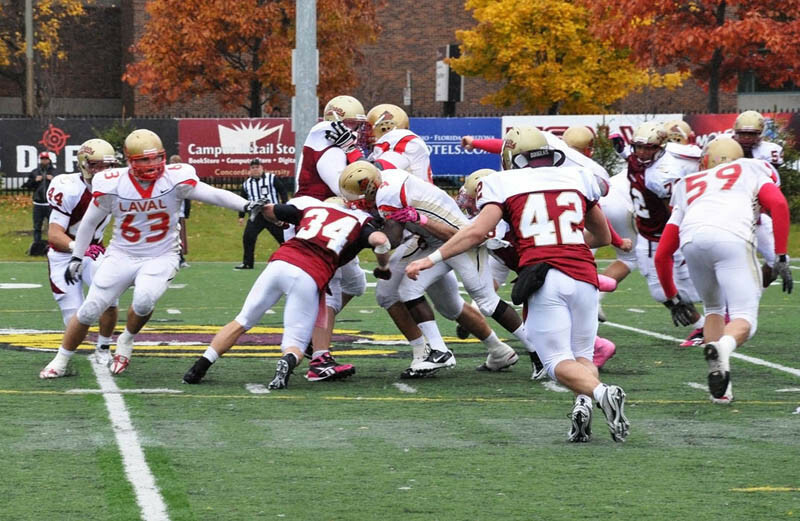 Like the rest of the conference, Concordia simply could not handle the juggernaut Rouge et Or.